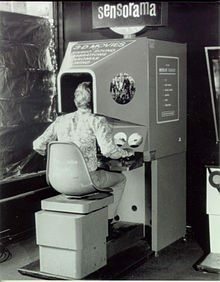 The idea of virtual reality first originated in the 50’s by Douglas Engelbart who first thought to connect a computer to a screen. The idea was thrown around for years but really never gained traction until the late 80’s when a small group of investors wanting to see what technology could offer. However, at this time the technology was not sufficient enough to compel an audience as real life was superior to the crude digital experience of VR. Nevertheless, this experience began to change with Palmer Luckey and his development of the Oculus Rift in 2012. This experience was more realistic than anything seen before and gained massive traction through Kickstarter raising $2.5 million. 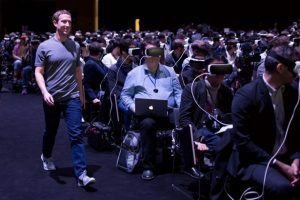 Oculus started the trend of virtual reality that we see today and was purchased by Facebook for $2 billion thus promising even more potential for the future. 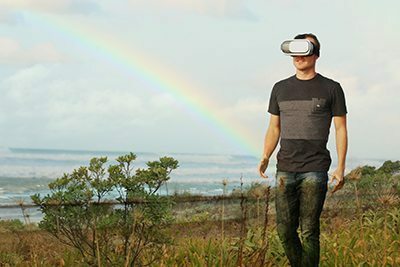 The virtual reality movement has expanded beyond Oculus, however, as now Samsung and Google both own their own virtual reality devices that can be used with a phone. We also have new tools like Facebook’s 360 degree viewing. All of these new developments show the exponential growth of technology during the 21st century specifically, and the future only holds more potential. Think about your computer or phone 10 years ago, did you ever imagine phones and computers would look as they do know? The change over the past 10 years has been incredible, and this will only continue with new technologies – like virtual reality. Virtual reality offers us the possibility to travel anywhere in the world and experience anything without leaving the comfort of our own home. Many are predicting that virtual reality will become more physical with connections to other extremities of your body; thus, allowing you to do more and experience a more realistic reality. Another potential is the use of virtual reality social media which would allow us to interact in a virtual world through avatars that resemble our own body and facial expressions. Finally, in the future we may not even need headsets to view virtual reality. Google recently purchased a company called Magic Leap that uses simple lenses to project 3D images that are appear realistic and in front of us in this world, rather than a virtual one. Companies like this are pushing the limits of virtual reality, and we cannot wait to see where virtual reality will go in the next 10 years. One industry virtual reality is already begin to alter is the tourism industry – users are often able to experience hotel rooms and the grounds of the resort before actually booking. Other popular uses come in the automotive industry, testing models and conducting safety trials, and the healthcare industry, allowing examination of human anatomy for learning and preparation for high-risk procedures. One use we are especially interested in, because of our tie to Sunset Designers and Builders, is the ability for customers to virtually see past pool models, which will help them visualize their own pool updates. Additionally, virtual reality could help designers and builders, as we could create a 3D design that we could then virtually tour and edit to enable a better understanding of the project details. How do you think your business will be affected by the growth of virtual reality? Let us know in the comments. Virtual reality is one prime example of the exponential growth of technology happening all around us. Virtual reality was never a reality until the Oculus Rift in 2012 and now some 5 years later it is widespread and being adapted into business models. The exponential growth of technology is amazing, but also potentially frightening for businesses as we feel the pressure of having to keep up with technology or be left behind. Disruptors continue to enter new industries across the world, and virtual reality is just a reminder that we always have to be ready to adapt and change.